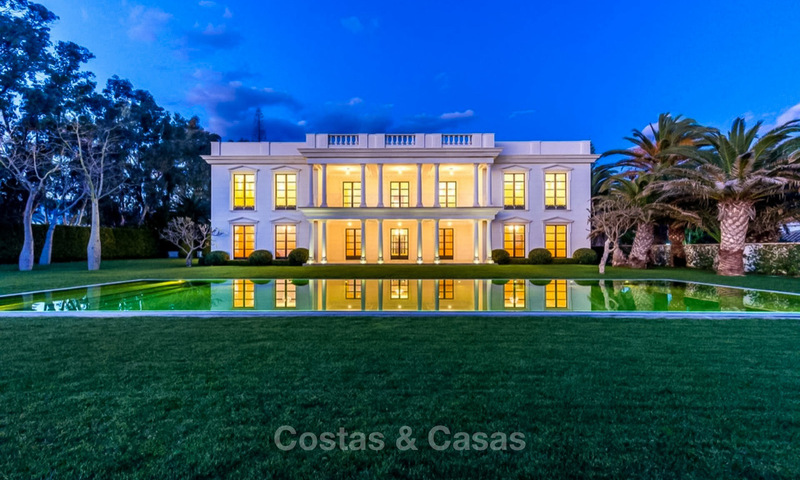 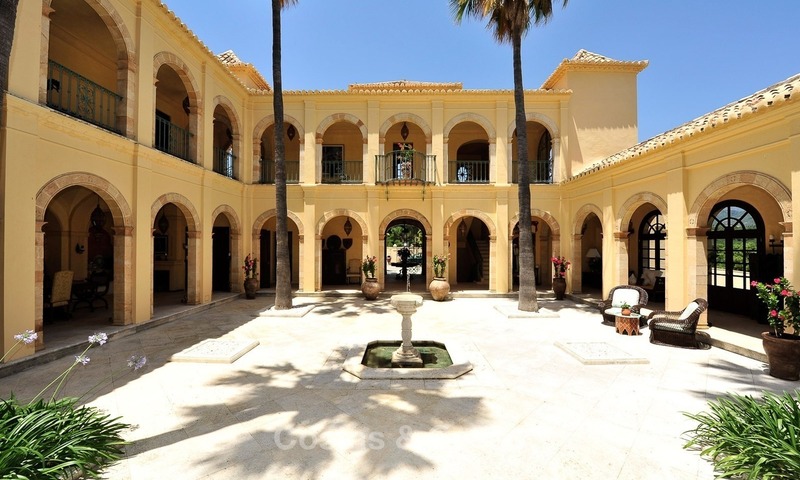 Huge Arabic Andalusian style villa for sale located in a huge plot with swimming-pool, fruit trees, a tennis court and with mountain and sea views. 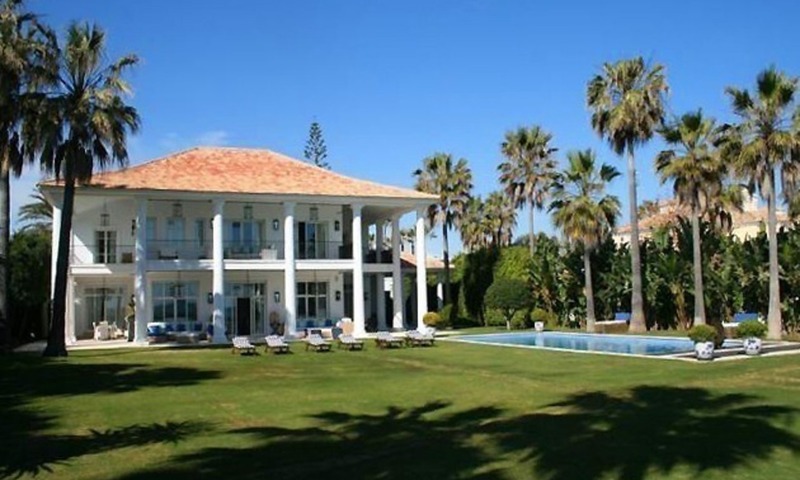 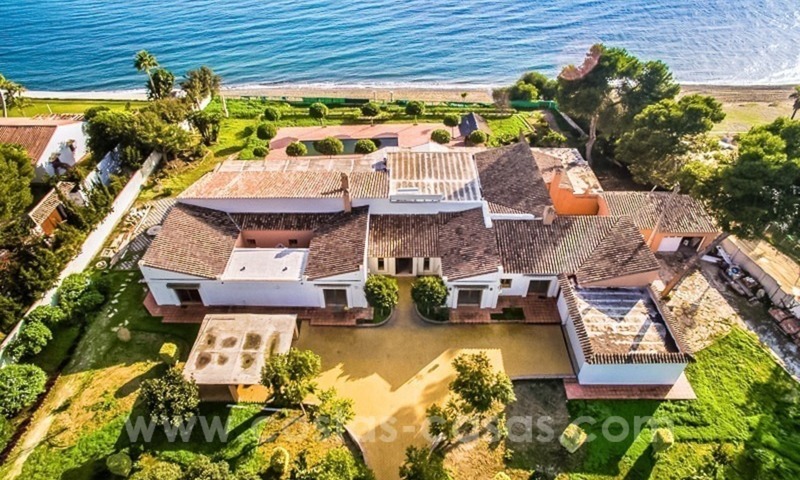 Prestigious golf urbanisation in the area of Marbella - Estepona. 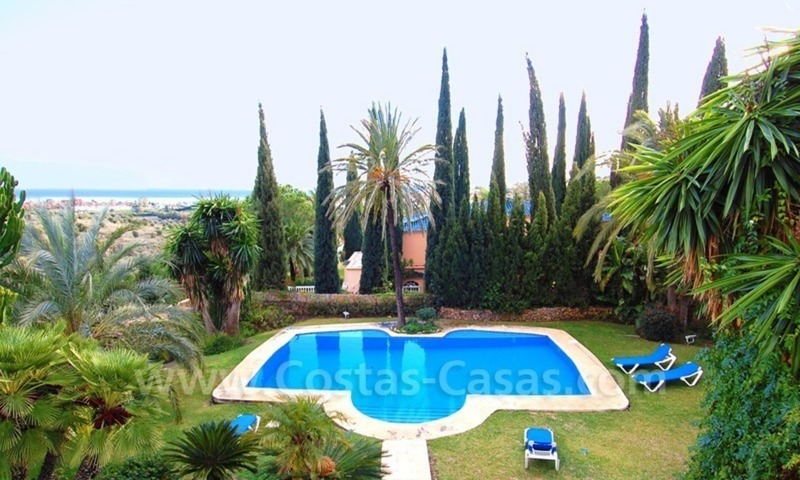 There are two plots adjacent to the main house that can be bought to extend the construction or the garden if desired giving a total plot surface of over 7.500m2 For more information you can contact us now.